Without the need of any other device, KuaiFit gives instant voice feedback about your heart rate, speed, distance, calories and more. All effortlessly delivered to you by audio while listening to your favorite music and practicing any sport, including running, cycling, gym and bodyweight and much more. Unlike most other headphones that need to be connected to multiple devices, KuaiFit goes where you go and are perfect for running, cycling, gym and general fitness. KuaiFit removes the guess work and complications to help you keep fit, lose weight, or train for your next race. Your KuaiFit comes pre-loaded with three plans in the memory; Running Training Plan (4-week duration), Cycling Training Plan (4-week duration), and a Tutorial Training Plan. Many more plans are available to download online. Integrated Clinically Validated Heart Rate Sensor, Activity/Fitness Tracker, 8GB Memory, MP3 Player, Voice Coaching, 7h Battery, Bluetooth, BLE & ANT+. 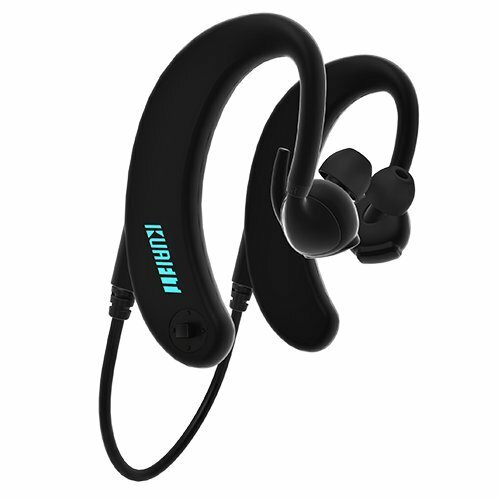 Designed for Extreme Exercising, Sweatproof and Include Different Eartips for Indoor and Outdoor Exercising, in Multiple Sizes to Achieve The Perfect Fit in Any Environment. Preloaded with 2 Months of Training Plans for Running and Cycling. And Easily Download Additional Training Plans for a Multitude of Sports from the KUAI.FIT Platform. Workout Without Carrying Any Other Device Using its Integrated 8GB Memory, MP3 Player and Sensor Technology, or Train Connected to Sport Watches, Phones, Bike Computers, Power Meters, etc by ANT+, Bluetooth, or BLE. If you have any questions about this product by KuaiFit, contact us by completing and submitting the form below. If you are looking for a specif part number, please include it with your message.